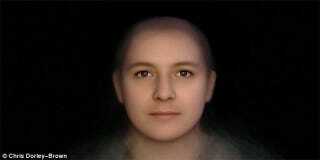 The developers behind Runescape, in conjunction with photographer Chris Dorley-Brown, have taken survey data and real player's faces and combined it all to create this composite portrait of the game's "average" player. It's a white dude, with a dash of feminine touches. Surprise! The two most pertinent stats contributing to the face's make-up is that 18% of Runescape's players identify as female, and 34% are over the age of 35. To help out the raw internet data, Dorley-Brown went to a Runescape event with over 2000 attendees and took a bunch of photos. It's not the most scientific thing ever done, nor is it pretending to be the face of the average gamer across all games, but still. If you look like this guy, or even remotely like him, sleep easy tonight knowing you're tucked safely in the middle ground.